You are currently browsing the tag archive for the ‘Wood’ tag. This friend of mine is having her warehouse guy look for all the lumber I need from rejected timber. Now I’m not sure what causes something to be rejected. I suppose export-grade stuff would have to be pretty good, so maybe rejected wood is still okay. 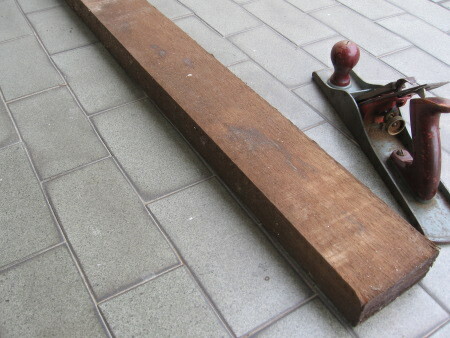 As long as the wood is straight and not rotten, it should work for a bench, right? Even pinholes would be okay for me, as long as the bugs have moved along. So we’ll see. The foreman or whatever he’s called is going to give me a buzz when he has it together, so I’ll get to inspect it first. Oh…and did I mention that she’s going to give me all this wood FOR FREE??? She also told me that this guy could hook me up with all kinds of scrap wood – cutoffs, rejected wood, whatever. She said they normally just burn it. Hello, my name is Eric, allow me to be of service to you. When I did some woodturning a few months ago, I turned a chisel handle from a sweet gum tree that still had the bark on it and everything. 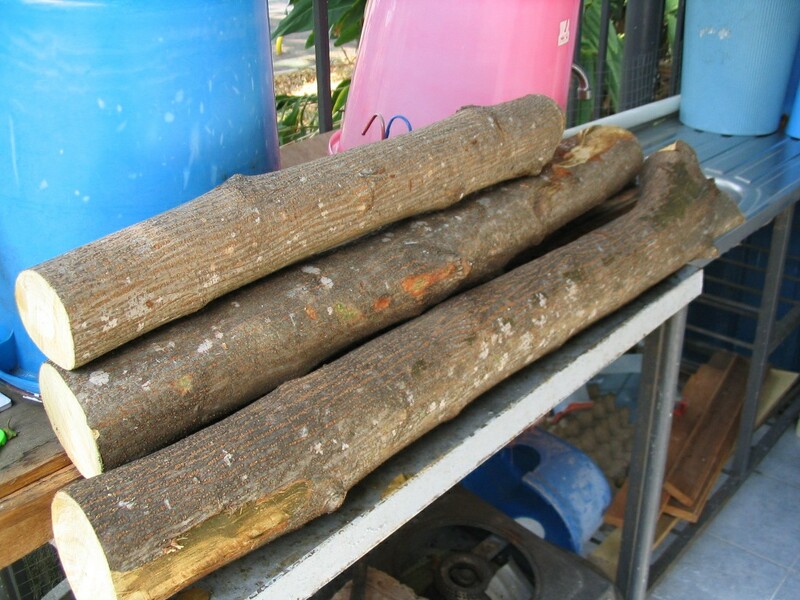 I thought, “Hmm, I wonder what kind of wood might be available to me where I live in Malaysia.” I don’t have a lathe, but still – that shouldn’t stop one from trying to make stuff out of long cylindrical pieces of tree. Right? I’m not really into making rustic furniture – I just want to take “rustic wood” and make finished pieces from it. 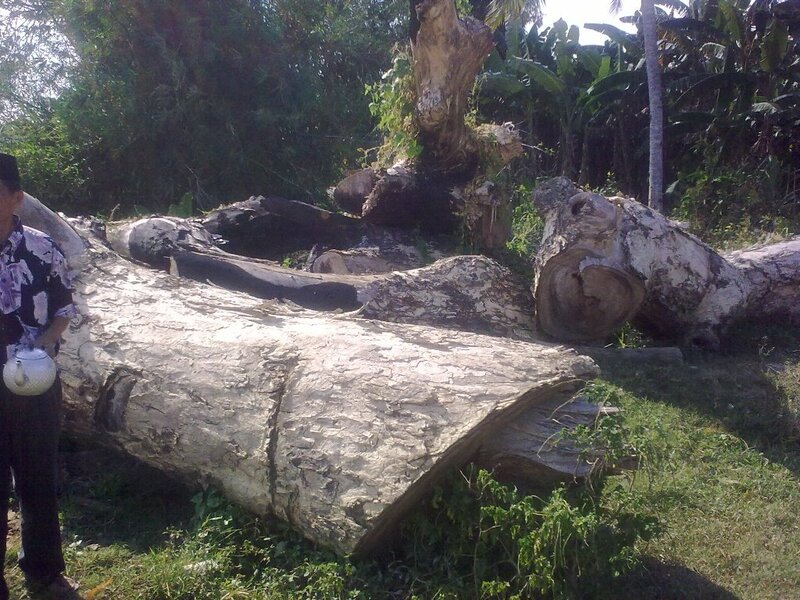 So I was at a Muslim ceremony the other week (commemorating the 100th day since the death of someone in their community) and saw this hugemongous fallen tree next to the cemetery. 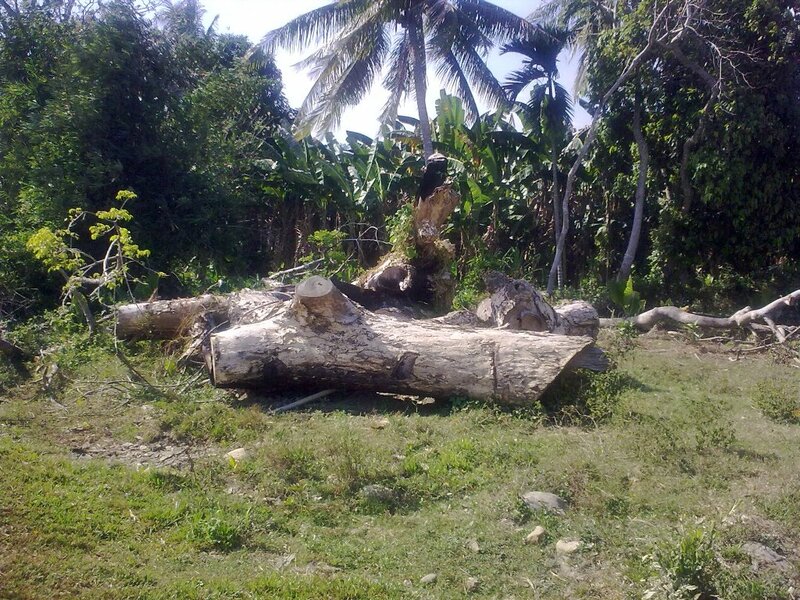 When I asked about it, the guy said it was teak, and that they had cut the tree down because they were worried it was going to fall down into the cemetery. It looked like the tree was about 5′ or so at its thickest and 3′ or so at its narrowest. I asked a few questions about it while trying not to act too excited, visions of a solid slab teak workbench top dancing around in my head. And you know what? The guy didn’t seem to care too much about it. At some point I just might ask him if I can cart off the wood, but here in Malaysia you can’t just do that right away, you have to take your time and build the relationship a bit first. More on that as it develops. Here are a couple pics of the wood. 1. That teak has been sitting out for several months at least. Is there a chance that the wood is not good any longer, or does it just mean it’d have to sit covered for a bit longer to get that extra moisture out? 2. 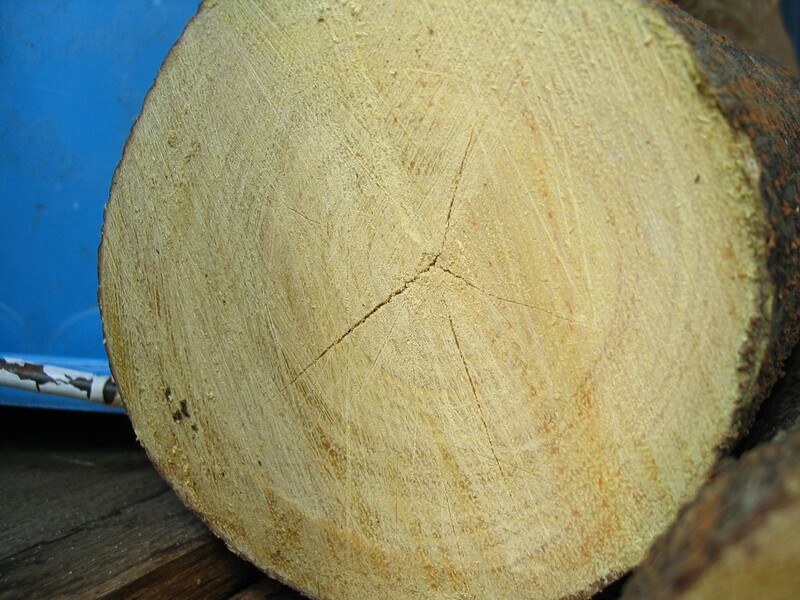 What’s the best way to store wood that you’ve just cut down? Leave the bark on? Cut it to planks? 4. What caused the cracks in the middle of the tree? Does that mean I probably won’t be able to use the very center? I saw this in a projects book recently and took a couple hours to knock it out. It was a very doable project for me, despite my lack of toolery. 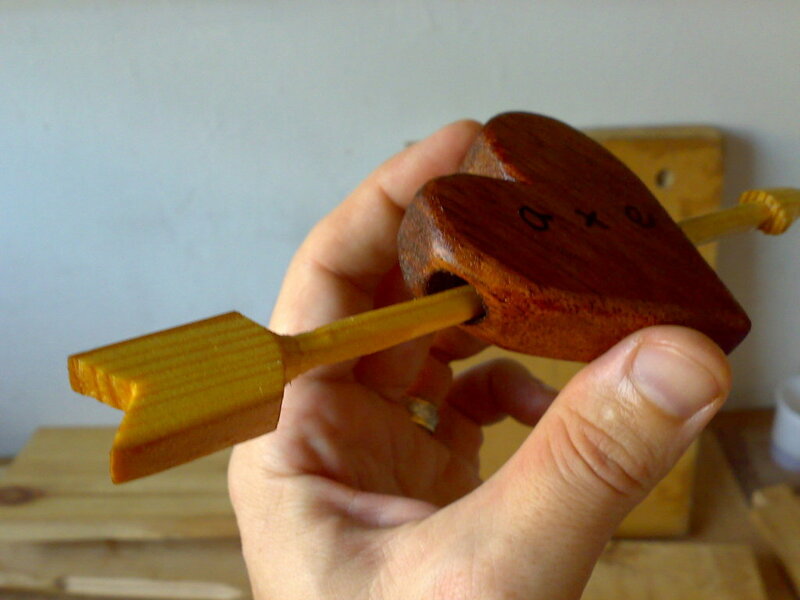 The head of the arrow is about 3/16″ or so larger than the hole. The entire project was done by hand – I think I used my ryoba saw, a chisel or two, a pocket knife and a rasp (oh yeah, and my bit brace, duh!). I was pleased with how cylindrical the shaft of the arrow is, considering it was purely done with a bench chisel! 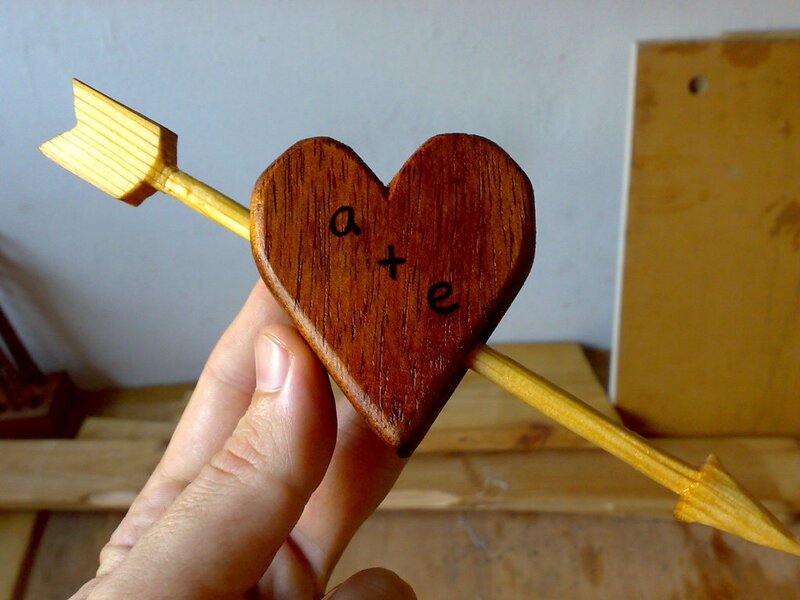 The heart is kempas and the arrow is pine. FYI. Funny. In Malaysia, land of rampant logging (legal and illegal), I can’t seem to find really nice wood. Well, maybe the wood is nice, but it is stored horribly. It’s typically kept out back behind the hardware store under a big tin roof, all stacked right on top of each other. So you can imagine that I would be somewhat tempted by the beautiful boards lined up at the back of Ace Hardware (there are a few branches of Ace here in Kuala Lumpur). I’m so glazed over that I don’t even realize that they’re really just laminated poplar and oak, sold for shelving. On the bright side, though, the surfaces are flat and smooth. It seems that the most common lumber you can get at the local hardware stores is meranti and merbau. These are two different types, if I’m not mistaken, of the same species, Shorea. I thought that this would be what I’d be building my bench out of. Turns out that the stuff most readily available at the particular shop I went to (after checking out a few others) was kempas (scientific name koompassia malaccensis). It’s a beautiful wood, in my opinion, and maybe this is in part due to the dark orange color and also because of its interlocked grain (which I had to look up to even know what that meant). Apparently, interlocked grain is pretty common for tropical woods. The one thing I didn’t know about was the difference between sapwood and heartwood. Only the heartwood has the nice dark orange color. The sapwood is pale and bland. 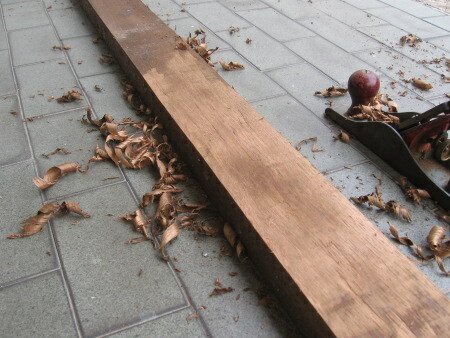 I do have several boards of sapwood, and thought I had different wood altogether. Now I know. 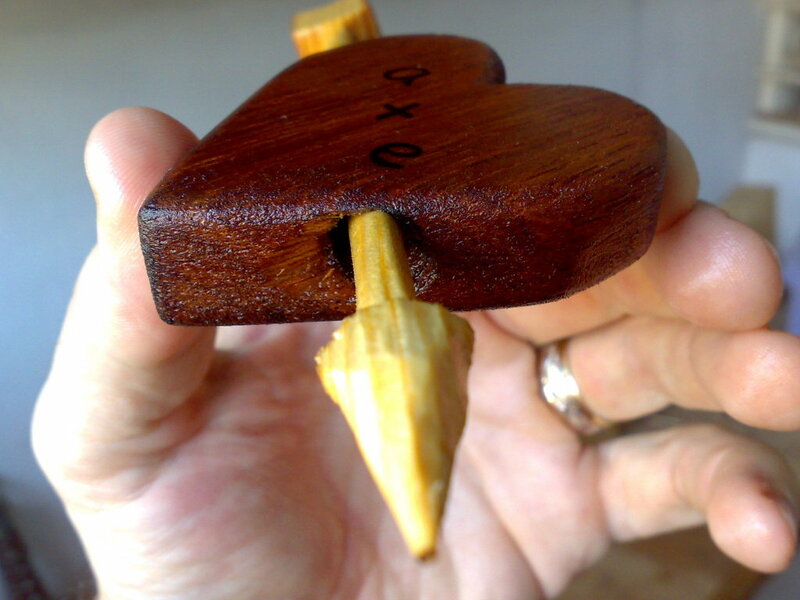 So I may have to go back and get some more heartwood, or just use the sapwood for my stretchers. I look forward to seeing how this will look sanded down and with some oil on it!